Ropata, son of a Maori chief, left his home and family in New Zealand to go to the Klondike. He was one of the group of Maori’s that several goldrushers encountered on the trail. His eloquent account to his wife appeared in the New Zealand newspaper soon after he wrote the letter on April 18, 1898. A Maori’s Journey to Klondyke. From Ropata H. Manihera, of the Papawai Pa, Wairarapa, writes as follows to his wife: Port Wrangell, Haines and Skagway April 1898. “O, my Pine, greeting. Great is my love for you and the children. Our steamer reached this town on Tuesday. This is the place where we go to the interior. Our party numbers 150. Today we are busy packing our provisions on pack horses, and will finish the work to-morrow, and then make a start. One hundred horses are to do the work. At the summit they will be abandoned, it being too expensive to continue them to Lake Bennet. The charge to the summit is 4d a pound; to Lake Bennet, 8d. We can’t pay the latter, so we shall have to drag the sledges to the lake ourselves. There we must build boats. “Pine, you can scarcely imagine the great expense of carriage of freight here. You pay the steamer, you pay Customs, you pay wharfage and the tax. Even now it has not stopped. It’s pay, pay, pay, all the time. “The best plan is not to bring anything but to buy here . It would be less trouble. Goods get stolen. On our arrival here, we found many of our things had disappeared. The country is all frozen over, making the drawing of our sledges very much easier. “Pine, lots of gold came to this place. Many pakehas have returned with fortunes. Others again, have made nothing. This is a great country – the greatest gold land in the world. “People run short of food, and are obliged to come back to fetch more. Some run short of money, and cannot pay the taxes, and are obliged to give up. As gold is found close to this place, these are engaged digging round about here. Thought this field is not yet developed, yet the whole of both sides of the river has been pegged out. “I can’t build a canoe here the trees being too low. “We intend to go on until our destination at the gold land is reached, where I will write again to you. I am all right, my mates too, and do not mind the cold at nights. It is nice and warm in the daytime. “the strength of the sun is 90 degrees and more. But the land is all wrapped in snow. A great number of women and children have gone on. Some of these went by road. “It is all nonsense and talk by the newspapers in saying that Maoris won’t be able to stand the climate here. In my opinion the Maoris can bear the climate best. “Scarcity of food is the only draw-back here. Why women and children survive here, most of whom are from Australia. The rivers are fortunately well stocked with fish; also there are plenty of ducks, geese, and other fowls. “O Pine, greeting to you and your children and the people. Long life to you all, and me. Again I send greetings to you, O my Pine. We sailed from Vancouver on reaching this town today. This is a small town, Our steamer passed many small islands coming up. “This a snow land. On our arrival we looked around on shore, where we found many women and children. This very day four of our shipmates were robbed of their money. This is a notorious place for murders, and very dangerous to be out at nights. “There were murders just a little while before our arrival. Five mates on the march had a dispute on the road. They parted, two going one way and three the other. In the night, while they were asleep, they were attacked, killed, and robbed, their bodies being chopped up to bits with an axe. 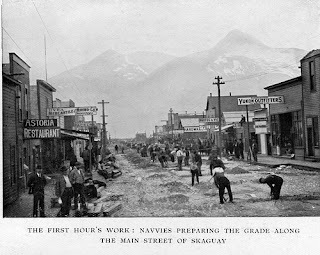 “Some of our contingent have gone by the road leading from here to the goldfields, while the majority of us proceed on by the steamer to Skagway, and take that route. Our steamer leaves again for that place today, getting there some time to-night. “That is a worse place. Many pakehas have lost their lives there. There’s no law here – you have too much there. “On our way up we met two steamers full of people returning from there. Their advice is “Go Back; don’t go to the diggings; people going there must be very careful.’ They gave some awful accounts. I scarce know what I shall do on landing – whether to make for the fields and trust to fate, or what; and if death overtakes me, well there’s no help for it. Te Manihera Te Rangi-taka-i-waho was a noted chief of Ngāti Kahukura-awhitia. He helped broker the first Pākehā settlers to the Wairarapa and went on to sign numerous land deals. He died at Papawai, near Greytown, in 1885. Following the death of Manihera Rangitakaiwaho, his son, Ropata Heketa Manihera, his brother, Hoani Rangitakaiwaho, and Hoani Te Whatahoro Jury presented the portrait to the Government who gave it to the Dominion Museum. Timaru Herald, August 30, 1898; Auckland Art Gallery. The Northwest Mounted Police reported that on May 28, 1898, Robert T. Veitch drowned at Lake Bennett. 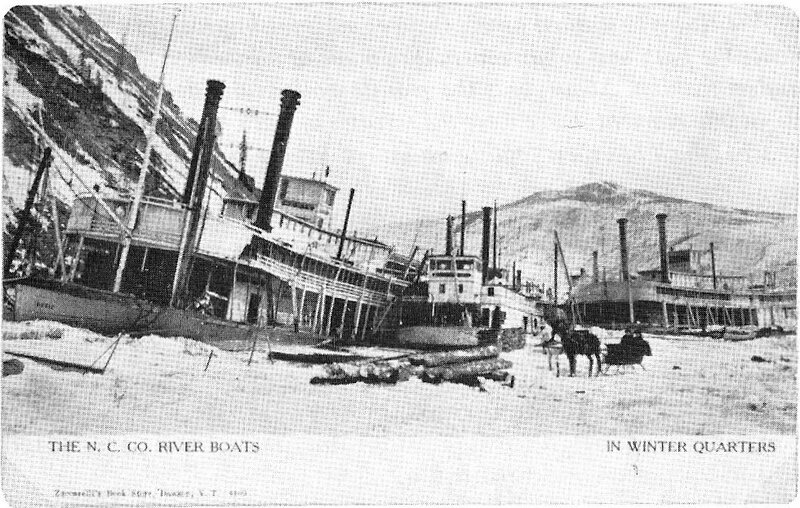 The news reported that Veitch was hit by the boom of the sailboat and knocked overboard. On the same day, May 28, 1899 a year later, Mr. Hiliger and Mr. Schock also drowned in Lake Bennett. 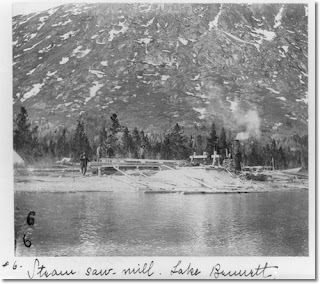 “Two men, a Mr. Schock the proprietor of a road house on the upper end of Lake Laberge, and a man named Hiliger were drowned in Lake Bennett on May 28, about three miles from Bennett. Both were newly married, and their wives were on the shore and saw them drown. It appears they were on their way down with a scow, and, having forgotten something, started back for the same in a small boat. A gale was blowing at the time and the boat capsized, and before help could be secured they were both drowned. An inventory of the effects of the road house was taken and a full report forwarded to Dawson, and the public administrator notified.” from the NWMP record. 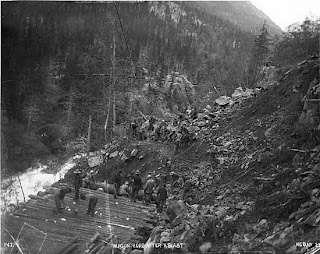 On this day, May 27, 1898, after years of planning and financial consideration by British investors, White Pass & Yukon Route started building the railroad over the White Pass to Whitehorse. I don’t remember ever seeing a ceremony to commemorate the start on that day, I think they just started. They encountered some difficulty in building the line along the base of the cliff where it is located now, because local landowners and speculators had bought up the land thinking they would cash in. So two weeks later, despite local objections, 500 workers started laying the track down Broadway at night and in the morning of June 15, 1898 the town awoke to find the deed was already done. This demonstrated two things, that Michael J. Heney was a doer, that local objections were of no concern to him, and second that with enough manpower and money, White Pass was above any minor obstacles. These characteristics would later become evident in their dealings with accidents and local problems (Soapy?). Alexander Grey, known as Sandy, lived in New Westminster, British Columbia but was on his way to Atlin when he checked into the St. James Hotel. The St. James Hotel building is still standing and is directly behind the Hardware Store on 4th. Sandy Grey was born in 1858 in Ontario but had moved to B.C. by 1880. 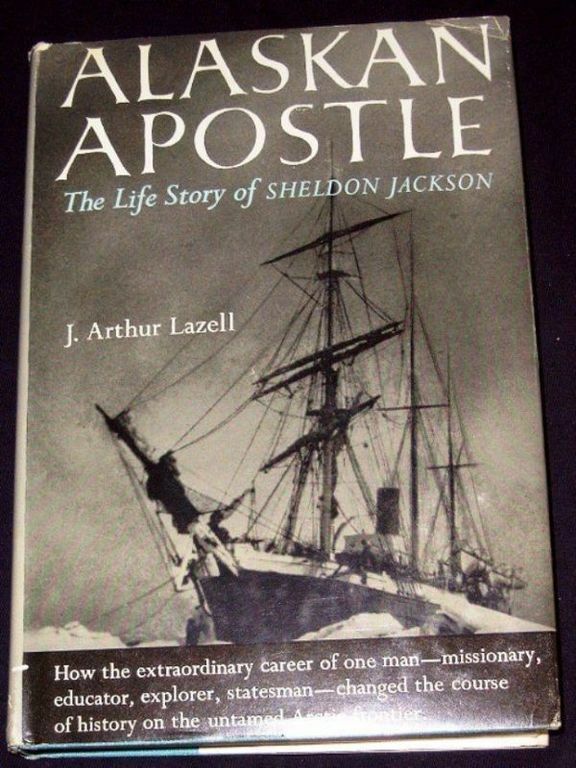 At the age of 41, he died of heart failure on this day, May 26, 1899 in Skagway. His brother George was in New Westminster but it was decided to bury him here in the Gold Rush Cemetery. The headstone, obviously replaced is wrong on two things, the spelling of his name and his age, both of which are from the census and death records. I don’t know what the little saying on the bottom says, I will have to go up and check it out. Does his ghost still haunt the St. James? Ask one of the hardware employees. Skagway death/coroners inquest record; 1880 BC census. There are several stories told of the shooting death of John Matthews. In one version his name is Frank Matthews, but the story is basically that while trying to move their load of supplies on Lake Lindeman, John and his father lost the load in the lake. After losing the load, he either accidently shot himself with a rifle or committed suicide. One version was that he was the former sheriff of Puyallup, but I could find no verification of that. John was born in 1872 in Idaho and had a wife named Jane and some babies. He died in May 1898 and is buried somewhere between Lindeman and Bennett. 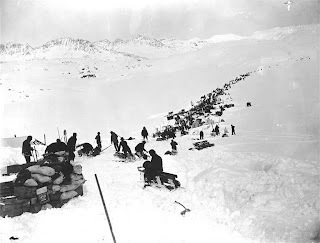 Klondike Fever; “Every Trail has a story” by Henderson p 44; Mayer; “Two Years in the Klondike”. On December 9, 1898 there was a small but deadly avalanche on the other side of the Chilkoot Pass at Crater Lake. Apparently 6 people were killed: Mrs Darling and her two sons, one unidentified man, Mr. Bert Jones and Mr. Harry Shaw. 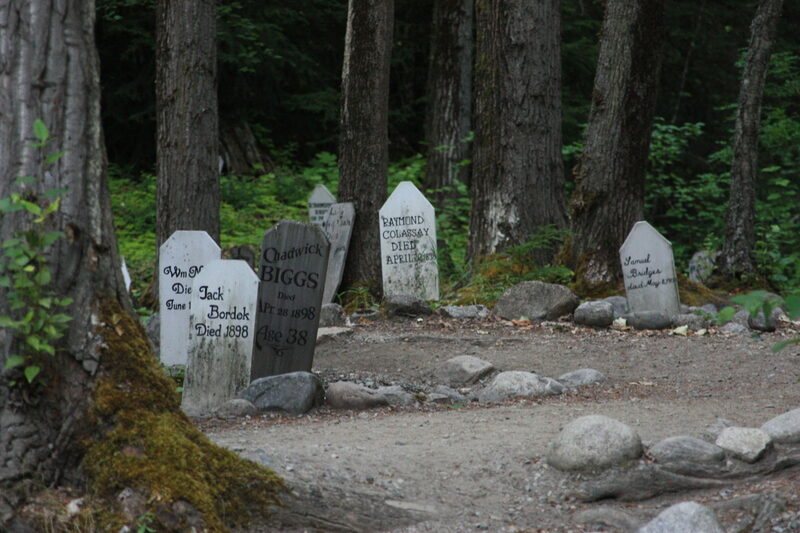 although I tried to find out any further details, I could not and there is no record of their burials here in Skagway although reports said that their bodies were perfectly preserved when dug out. Above is an 1898 image of Crater Lake from the summit of the pass. New York Times December 21, 1898. On December 2, 1898 there was a premature explosion on the White Pass & Yukon Route Railroad line between Camps 9 and 10. Three men were charging a hole when the explosion occurred. Charles Watson, John Hapin and John McGubbin or McCubbin were killed. McGubbin was buried in the Gold Rush Cemetery, there is no record of what became of Hapin and Watson. Although the headboard there says McCubbin, it was one that was replaced in the 1970’s and so is not 100% reliable, it could be either as there was a John McGubbin and several John McCubbins in the late 1800’s. The photo above is of a blast on the line where the rubble is partially covering the Brackett Road. The railroad line later went over the Brackett Road. New York Times December 12, 1898; Skagway death record. Wilson was a very early businessman in Dyea. He and Healy ran a trading post in the 1880’s. Wilson was born in 1842 and was married to Katherine or Kittie Brown and had a 6 year old son and girls Gladys and Ethyl, newborns, when he died, on this day, May 20, 1895 in Juneau. Kittie and family stayed on at least until 1900 and then must have moved on. 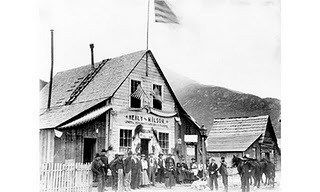 Seen above is the Healy and Wilson trading post as photographed by Anton Vogee on Decoration Day (Memorial Day) 1898. Mr. Woodruff was born in 1853 in Wisconsin and came to Skagway in 1898 from Seattle. He was an early member of the Arctic Brotherhood and in fact donated the land where the AB Hall now sits. Woodruff was involved in several businesses, the Northern Commercial Company – a company that operated retail stores in Alaska from 1901 to 1992, the Bowen and Woodruff Crockery, and he was the Secretary and Treasurer of the Alaska General Electric Company. The Northern Commercial Company stores throughout Alaska often served as the village courthouse and post office as well. Much trade in the stores was bartered, as few people had cash. The stores accepted such items as gold, fish and furs in exchange for merchandise. The stores were often the nucleus of small communities and communities often grew because of the stores. 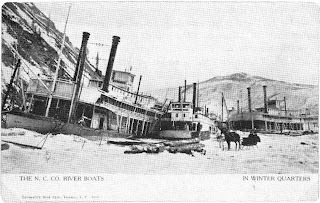 The company also owned several steamer boats that transported goods on the rivers. Seen above are some that belonged to the Northern Commercial Company in winter. Frank and his family moved on to other parts of Alaska and he died on this day, May 19, 1920 in Alaska. The Princeton apparently was not quite stout enough for Alaskan storms because on a stormy day in October, 1939, it ran aground in Lynn Canal. The captain, John Falconer stayed onboard but the other passengers: two men and three Native orphan girls went ashore on the rocks. Fortunately, they were all rescued, but the ship was reported lost.